The media companies that dominate Hollywood know what they need to do | The major studios have proved they can keep smoking out of the movies that kids see most. By 2013, every studio had successfully kept its youth-rated movies practically smokefree for at least one year. In 2015, most major studios were close to smokefree. If the film industry simply kept it up, the CDC reports that we can prevent a million tobacco deaths in this generation. Only one thing stands in the way. These companies refuse to instruct their trade group, the Motion Picture Association of America, to R-rate future movies with smoking. Reality Check youth from around the NY State getting their International Week of Action on! Eastridge High Reality Check @ Irondequoit Public Library in Rochester, NY. showing a SMOKE FREE movie. These youth definitly do not want to see smoking in their movie. Stafford Middle School RC in Plattsburgh, NY created a popcorn bag with a message for International Week of Action. Youth at the Ohmann Theater in Lyons, NY enjoying the selfie station before the showing of Wonder. Letter Writing Campaign- Reality Check students wrote letters to CEO's of major production companies sharing the facts about tobacco exposure towards youth in youth rated movies and the importance of eliminating smoking scenes from movies. Chazy High School's RC met on Feb. 17 for a free showing of the movie Wonder. Great movie, with an even better message, and not a single scene with smoking. 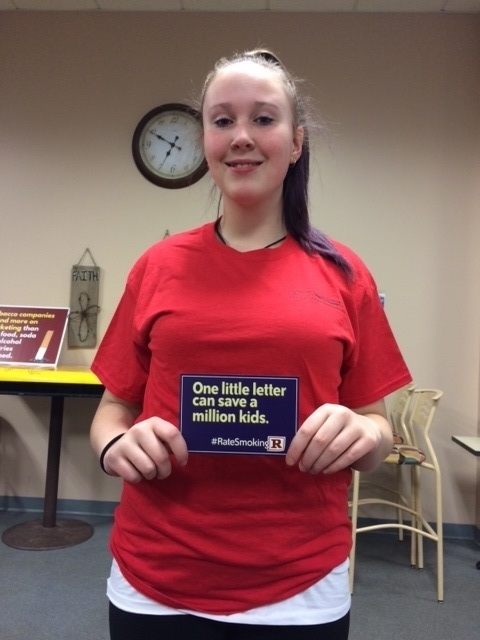 Stafford RC working hard to get the message out that, "One little letter R will save a million lives." 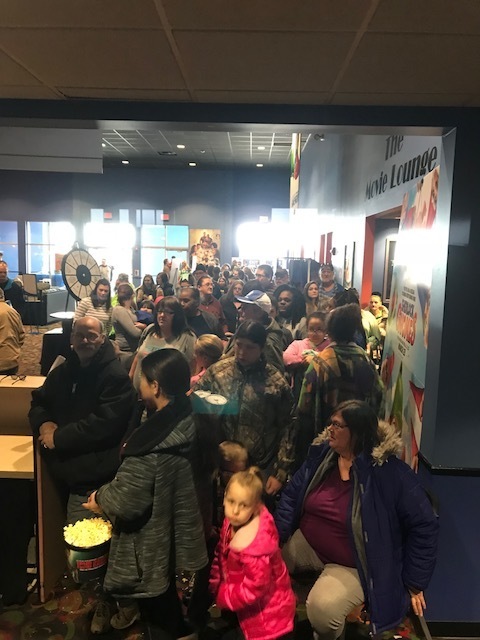 Reality Check of Hamilton, Fulton and Montgomery Counties celebrated International Week of Action by putting on a local movie for their community. 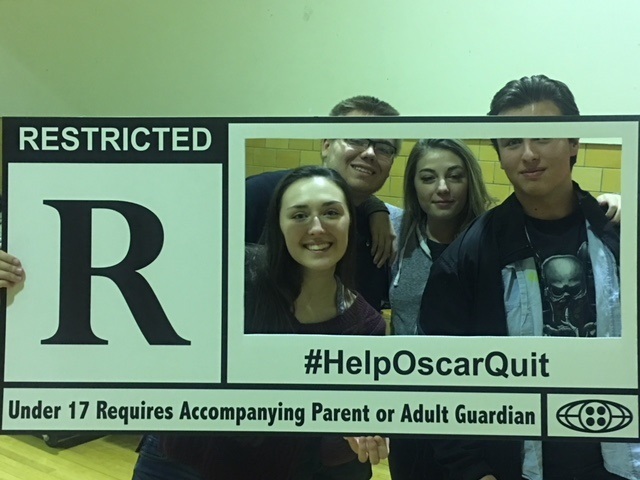 Their message, "to highlight the need to reduce smoking in youth-rated movies because it is proven that seeing smoking in movies is a cause of youth initiation". Stafford Reality Check taking an opportunity to pose for a photo while on a quick break from gathering signatures for the Call to Action and T21. Check out We Won't Be Bought on Facebook to see our 5 minute video. Reality Check youth (Left to Right: David McCarthy, Kim Page, Zach Pascarella) from Waterloo, NY educating the community about smoking in movies. Syracuse City School District's Fun Night hosted by the local RC.. Syracuse City School's Vice Principal Mr. James Natoli was in attendance for this event. Children and parents were educated during International Week of Action regarding smoking in the movies at the Stop the Violence Talent Show hosted by the Albany Boys & Girls Club on March 3rd. Families were encouraged to sign the MPAA signature banner, the Parent to Parent Media Company petition form, and the MPAA postcards. 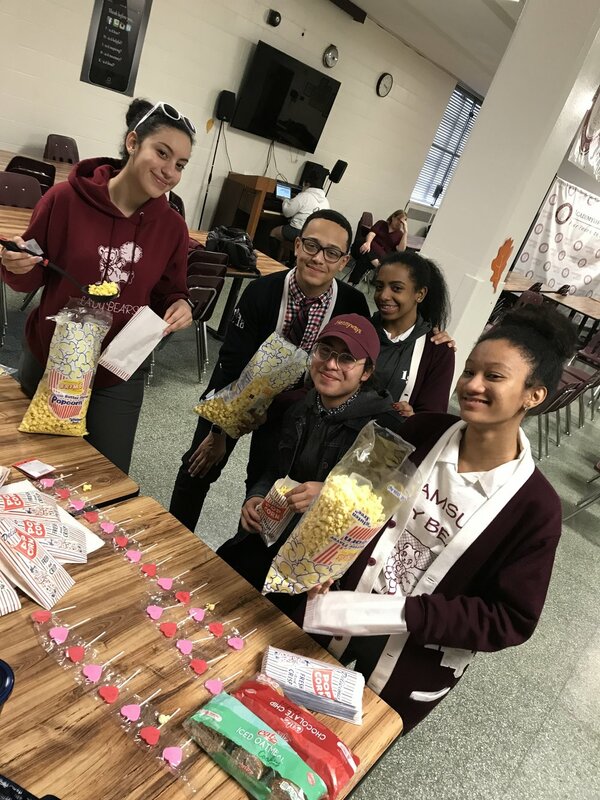 Movie Afternoon held at the Academy of Mount St. Ursula. Reality Check student leaders hosted a smoke-free movie afternoon where students from other schools were invited. RC student leaders shared information on the smoke-free media initiative and why they advocate for smoke-free movies. 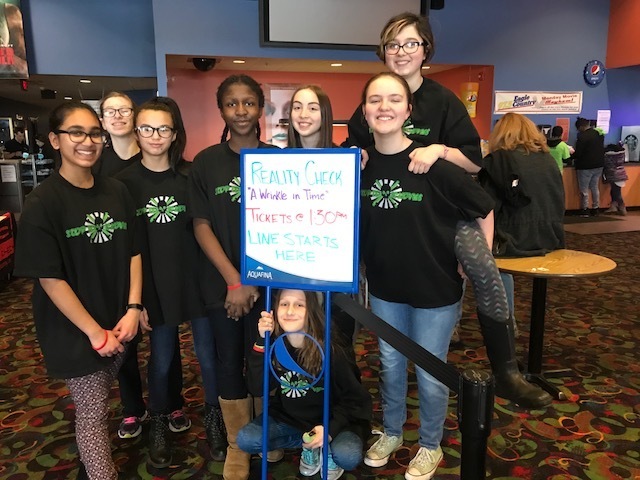 Reality Check youth from Cherry Valley, Springfield and Oneonta recently hosted a family movie event for International Week of Action to advocate to reduce smoking in youth-rated movies. In 2012, the U.S. Surgeon General concluded that smoking imagery in movies causes youth to smoke. The Centers for Disease Control estimates that exposure to on-screen smoking will recruit 6.4 million youth to become smokers. 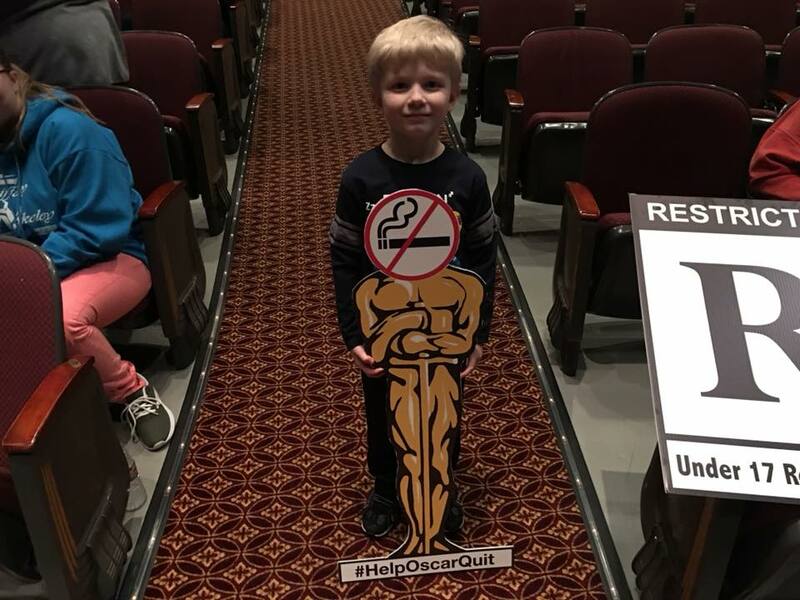 Fifty percent of kid-rated movies nominated for the 2018 Academy Awards program showed smoking. Assigning an R rating to all movies with smoking could reduce the number of teen smokers by nearly 1 in 5. A majority of U.S. adults (70%) favor giving an R-rating to all movies that contain smoking and any tobacco use. 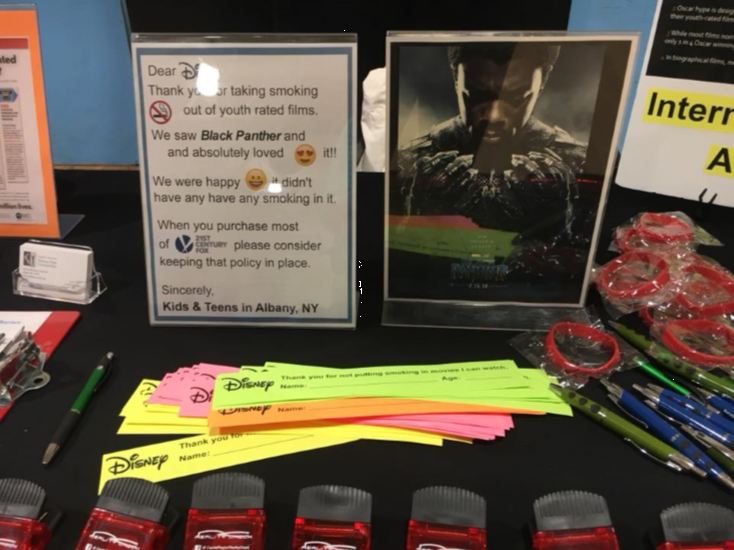 Youth thanked Disney for not putting smoking in Black Panther by signing a banner at the Albany Boys & Girls Club on March 3rd.